The focus of today's three-sol plan is environmental monitoring. I'll be on duty as SOWG Chair on Monday, so I dialed in today to get up to speed. The first sol kicks off with Mastcam tau, Navcam line of sight, and Navcam dust devil observations, to monitor the dust content in the atmosphere and search for dust devils. Then CheMin will return the remaining raw data frames from the "Stoer" analysis from early September. In the afternoon, Curiosity will acquire a Mastcam sky survey, Navcam zenith movie, and Navcam suprahorizon movie, which will provide additional atmospheric monitoring data. Similar environmental observations will be acquired early the next morning, with an additional Mastcam crater rim extinction observation. The second sol also includes a redo of the pre-anomaly post-drive imaging, to look for changes and provide a terrain mesh prior to resuming full arm and mobility activities. And the third sol includes a final suite of Mastcam tau, Navcam dust devil and Navcam suprahorizon movies, in addition to the standard REMS and DAN passive observations throughout the plan. 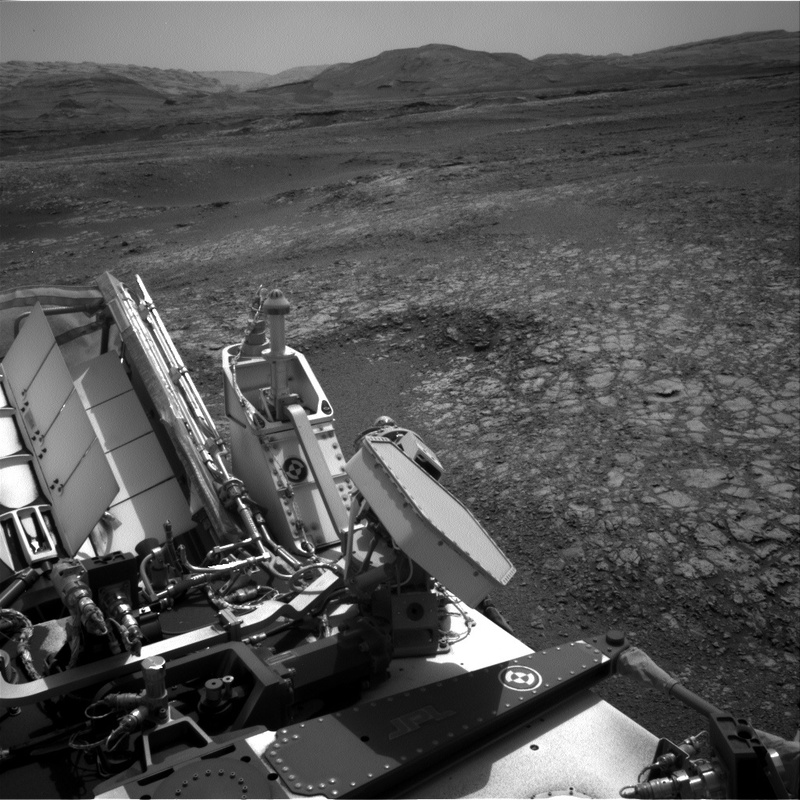 But while the environmental theme group has their eyes on the sky, I've got mine on the ground, including the above Navcam view, looking south over the back of the rover, and the new terrain that we are tantalizingly close to reaching. Looking forward to resuming full science operations soon!